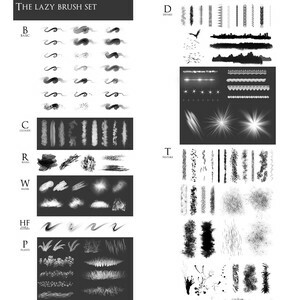 Basic - brushes I use the most. Most of my paintings are made using those particular brushes and often I use only those alone. 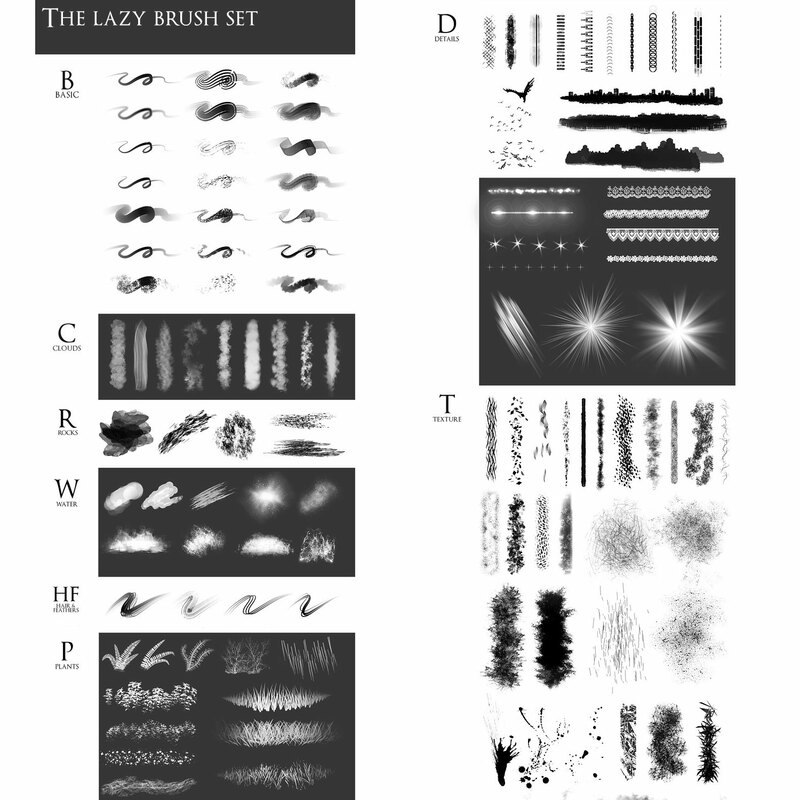 Brushes from the following categories are just an addition and are used depending on the subject and stylization I work in. Clouds - a few dynamic brushes to paint skies, mist and smoke. Rock - perfect for rocks, ground and other rough surfaces. Water - splashes and brushes with wet edges - best if used with light paint on dark surfaces. 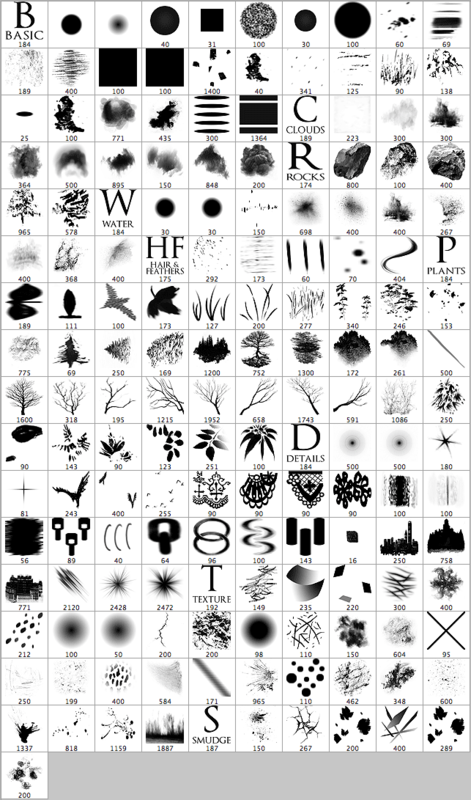 Plants - a very big set of dynamic brushes for painting foliage. Most of them are hand-painted giving pictures a very nice and unified look. Details - all sorts of little things that add to the final image - seams, light effects, laces and trinkets. Textures - yummy grunge and garbage that will make those flat surfaces look interesting. Scratches, wrinkles, rust, pores, stains - all you'll ever need. Smudge - special brushes for blending. They give very interesting blur and displacement effects.